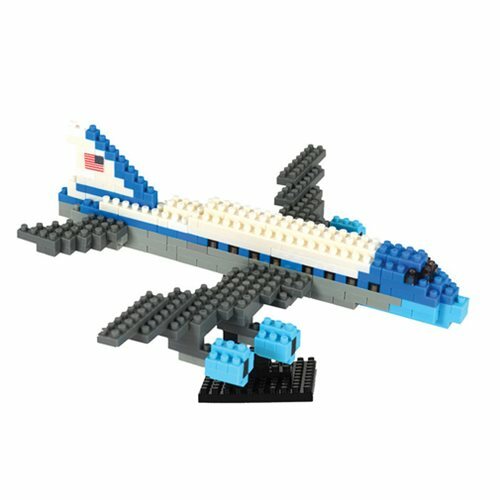 With this cool Air Force One Nanoblock Constructible Figure, you can build a nano-sized version of the airplane used to transport the President of the United States. Use the over 260 assorted pieces to create a detailed replica with your own hands that will fit in the palm of your hand! Detailed color instructions included.